To celebrate the series’ return and comic book transformation, creator Jhonen Vasquez, Eric Trueheart (writer on the original series & comic), Aaron Alexovich (artist for the original show & comic), Megan Lawton (inker on the comic), and Rikki Simons (voice of Gir!) gathered at San Diego Comic Con to discuss all things ZIIIIIIIIIM! Here’s what you need to know: there are a lot of awesome things planned for the comic. For example, Vasquez & team are writing the series as if the show never left the air. And those unreleased episode scripts that have circulated the internet? Forgettaboutit. The team isn’t interested in reviving things from the past, and are solely focused on the comic as a new story. And even better, since the series is simply licensed from Nickelodeon rather than being produced directly by their studio, the team is making content they want to make. No fan service or pandering here… which is really what we want as fans anyway. Expect to see old characters return, too. Except Poop Dawg…he’s probably dead. Of particular interest to me is the development of Gaz’s personality. Easily one of the most awesome characters on the show, Gaz will finally get a life in the comic, and will be the central focus of issue #5! In addition to the comic, the team has put out an “Issue Zero” of sorts in TruthShrieker. Modeled after the conspiracy magazines read by Dib, this zine features fine articles such as: “There is No Such Thing as Women” (Otherwise, why would they be ignoring me?) and “Pretty Sure I’m Dead.” TruthShrieker debuted at Denver Comic Con and will be available from Oni Press sometime after SDCC. 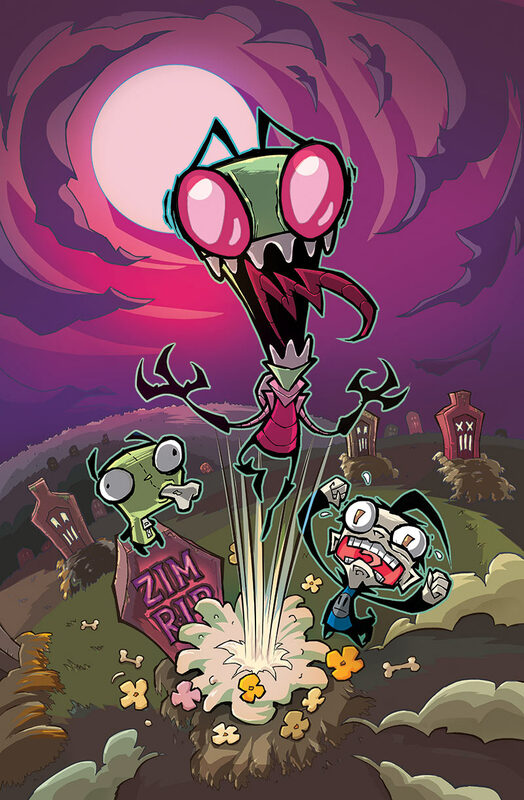 To perpetuate ZIM awesomeness, be sure to pick up the first issue of Invader ZIM at your local comic shop (or on Amazon to support the Nerdy Show Network)! If you don’t, Gir just may have to sing the Doom Song. 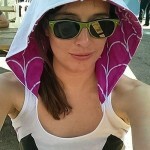 Are you following Nerdy Show on Twitter, Facebook, Tumblr, & Google +?